No matter how tight your budget is, you still have to make room for fun or life would be miserable. Of course, you shouldn’t put yourself in debt or bust your budget in the process if you want to meet your financial goals. We’ve always been frugal when it comes to our entertainment expenses, but here’s some of the things we’ve been doing lately to minimize entertainment spending while still having fun on the weekends. We charge everything we can to our Discover so we can earn rewards to get free gift cards. There’s a ton of different stores available, but we primarily stick to restaurant gift cards so we can go out to eat without guilt. Restaurant.com is a decent option to obtain discounted restaurant certificates. We bought a few $10 certificates recently when they were only $2 and made sure the minimum purchase amounts weren’t above what we’d normally spend. Keep those minimums in mind before placing your order! Groupon is a fantastic source for discounted restaurant certificates as well as things to do. Even better, we can cash in our Discover cash back for Groupon bucks so we never pay out of pocket. Last year we purchased memberships to Cosley Zoo and Morton Arboretum which we plan to visit as often as possible this year in order to get our money’s worth. We’ll also pack a lunch so we’re not tempted to stop somewhere. In December we bought gift cards to Lou Malnati’s, Noodles & Company, and Red Robin when they were running promotions so we’ll be using those cards to dine out and not have to pay out of pocket. In addition, I went through our gift card stash and found one for Buona Beef as well as a gift certificate for Bahama Breeze. I think it’s safe to say we have plenty of options for dining out without opening our wallets. We have an extensive board game collection and love having people over to play. This one isn’t always the cheapest since we like to make sure our guests have plenty of snacks and drinks, but it’s still cheaper than going out to dinner and/or an event. There are several forest preserves in our area we plan to visit, plus there’s free upcoming events in the area we plan to attend (I posted a list here). We also have access to free museum passes (as well as Brookfield Zoo) via our local library’s Museum Adventure Pass. Before Joe was laid off we purchased tickets to see my favorite band in the whole world, The Cure, in concert in June so that’s a guaranteed fun night out that has already been paid for. With all the above options we definitely won’t be bored even if we can’t afford more expensive outings. We just completed our move from AT&T Wireless to Ting so we can save money! It was a little confusing since it’s been 7 years since we had to change wireless carriers, therefore I had to chat with both AT&T and Ting to determine the proper order in which to set things in motion. Now that it’s done, I figured I’d outline it for anyone else thinking of switching carriers. Spring has sprung, and this post is for all of you who live in the Western Chicago suburbs. I spent a few hours this past weekend looking for free festivals and events coming up in the next three months. Now, obviously it’s up to you whether these events end up costing you anything since there are vendors selling food and other items. We are perfectly happy to bring our own food and just walk around the festivals window shopping. Art in the Park – Welcome spring at this free annual event that celebrates art and community. Browse fine art, craft & designer items at the 20th Annual Art in the Park. Featuring over 125 artists from across the Midwest, the event will also include music, food from local vendors and children’s activities. 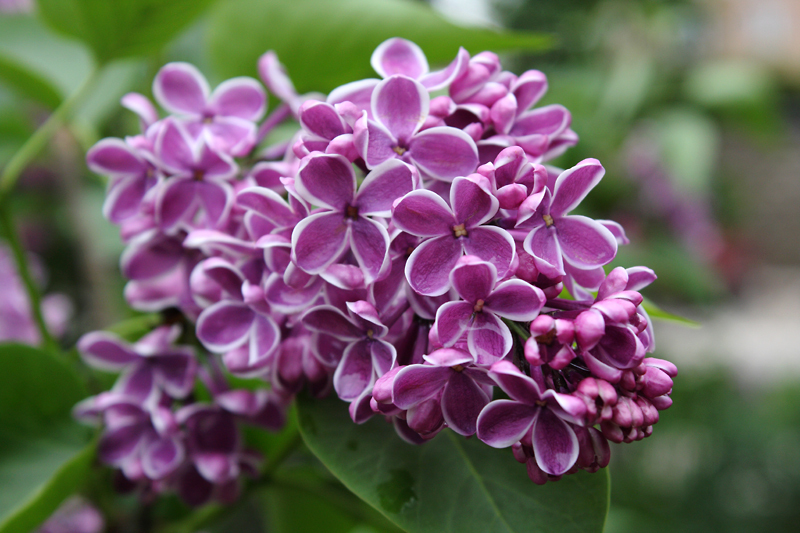 Lilac Time – Lilacia Park comes alive with fragrant blooming lilacs, not to mention tons of beautiful tulips. It’s not to be missed! (Note: The photo above was taken by me last year; we love packing a picnic lunch and spending a couple of hours in the park). Go Fly a Kite – Go Fly a Kite is a free event held in Wheaton’s Graf Park that encourages the community to come out and enjoy spring and fly kites! Taste of Glen Ellyn – The Taste of Glen Ellyn is a Family Event featuring LIVE Entertainment, Great FOOD, COLD Beverages, Carnival Rides, The CRAFT Festival, and a Business EXPO. JustPlay! is exactly what its name suggests – it’s just about playing. It’s about forgetting about work, bills and stress, and just having fun! JustPlay! offers dozens of free activities to thousands of participants. All designed to encourage people of all ages and backgrounds to get active, have fun, try new activities and have a memorable weekend in the Chicago suburbs. Taste of Wheaton – Free entertainment (music, performances), food booths, and an arts and crafts fair are the highlights of this festival. Now that it’s been a week since the unthinkable happened – Joe abruptly losing his job – I thought I’d talk about my reaction. Just as there are different stages of grief, one goes through stages when suddenly their household income drops below their expenses. It felt like a dream, or specifically more like a nightmare, made more so by the fact that I was literally asleep when Joe called to say he had been let go and was coming home. It took me a minute to process what was happening. How could this be? He worked so hard and for so many hours (including a 20-hour day not too long ago). He did his best, and yet that wasn’t good enough? Why was this happening? We have been through possible layoffs before but we always had several months notice and there was a promised severance package in place. Not this time. One day employed, the next day not. It was difficult to wrap my head around what this would mean for us. Uncertainty often leads to fear, or in my case panic, and I hit that stage quickly. How were we going to pay the bills on my salary alone? How long would we be in this position? What will be the long-term ramifications of this one decision, over which we had no say? We had been saving aggressively for retirement for years and all I could think about is how this could ruin everything. If I could see into the future and know how long we’d be in this situation at least I’d have an end goal in mind, but having no idea was giving me heart palpitations. On top of that concern, was that his next job could pay less which means we wouldn’t be able to go back to fully funding our retirement accounts. If you thought my anxiety disorder was bad when we were living debt-free, imagine how much it instantly skyrocketed with this news. The fear of the unknown is a powerful thing – this one change in circumstances could completely derail our entire future. These thoughts led to a feeling of powerlessness. I barely slept on Monday evening because so many thoughts were swirling around my head. I felt like in one fell swoop some uncaring person/entity had ruined our lives without so much as a thought. I mused why people bother working hard at their job at all if this could be the end result. By the next day I was angry. It especially angered me that he was let go the last day of the month giving us no time to schedule any preventative doctor visits before our insurance was cancelled. Had this happened just one day later – March 1st – we would have had until the end of the month. Instead everything was cancelled the same day we received the news. Therefore, while we shop around we are uninsured which is both scary and infuriating; the price of Cobra is ridiculous. In addition, while looking into our other options I started to feel resentful that we’ve paid into all these systems via our tax dollars but do not qualify for them due to the money we have saved over the fifteen years we’ve been together. It felt like we were being penalized for being financially responsible. Had we lived at or beyond our means we would easily qualify for food stamps and free healthcare, but now we’d have to burn through all our savings first. You must be destitute to reap any benefit from the very programs you’ve paid into your entire working life. Don’t get me wrong, I’m incredibly grateful that we aren’t destitute; it just seems a bit unfair to work so hard and be denied help when you need it. By mid-week I was done feeling sorry for myself and wasting my energy feeling angry. None of those things are going to help us forage this new path, so I felt it best to focus on the positive. At that moment the term blessing in disguise came to mind. Joe was very unhappy at his job, and extremely stressed out which is unhealthy in so many ways, so perhaps this was all for the best. We would have never chosen this particular path, but it wasn’t up to us. I was determined to start focusing on the things under our control, like reducing our monthly expenses (which I’ll get into more specifically in another entry). So that’s where I’m at today – trying to maintain positivity in a difficult situation. I’d love to hear from people who have been in our situation before. How did it make you feel and how did you handle it? Do you have any words of wisdom? Please share in the comments below. Classic Cinemas – Free movie ticket when you purchase a $50 gift card (this is available to Classic Reward members, so sign up now and you might get an email as you need to bring that in to get the deal). Culvers – Free value basket for every $25 gift card. Value Basket certificates expire February 21, 2016. This deal can’t be beat since those value baskets are typically worth $8+! We end up buying several $25 cards since Culvers has delicious burgers. Half Price Books – $5 bonus when you buy a $25 gift card. The $5 bonus card is only valid in-store 1/1/16-1/31/16. Lou Malnatis – Free $10 certificate when you purchase a $50 gift card or a free $25 certificate when you purchase a $100 gift card. We always get the $100 gift card which pays for four deep dish pizzas throughout the year and the $25 certificate is the same as getting a fifth deep dish pizza for free. The certificate is good through June 30, 2016. Noodles & Company – $5 bonus card for each $25 card purchased. $5 bonus card valid 1/1/15-1/31/15. Since the bonus card is only good for a month, and we don’t eat at Noodles & Company very often, we plan on purchasing just one card since we know we’ll be eating there in January for my birthday. Did you know if you sign up for their eclub you get a free bowl of noodles for your birthday? No additional purchase required! Red Robin – $5 bonus buck reward with every $25-$45 gift card. The $5 bonus buck reward is good from 1/1/16-2/29/16. This is another one we might take advantage of since we’ll be visiting Red Robin in January to redeem my free birthday burger. Speedway – Free Speedy Rewards points with a Food & Merchandise card purchase. I couldn’t find the details online, but if you belong to Speedy Rewards, you get extra bonus points (which can be used towards coffee and other items) for purchasing a gift card. Joe learned that the fuel only card doesn’t qualify for the extra points, so beware! If you know of any other deals, please share them in the comments. I’ve also added a link to a larger list posted by Deal News here. 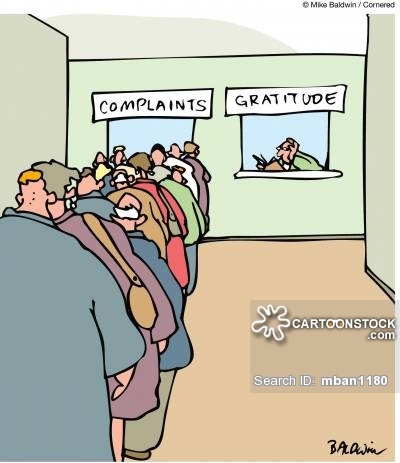 It’s not always easy to feel gratitude. In fact, I think it would be easier for many of us to list all the things that annoy us. Case in point – the woman sitting behind us at a college concert this weekend who kept rustling through her purse to eat a snack even though food was prohibited in the auditorium. The noise she was making was extremely distracting and diminished our enjoyment of the show. People can be so rude! Or how about all the annoying drivers on the road who can’t seem to realize their actions affect other people? Craziness! See how easy it is to complain? But this week of all weeks is a time to reflect on the positive and give thanks for the good things in life – family, friends, and the pets we adore. Just the mere fact that I was born in the United States is reason to give thanks (despite my jokes that I’m moving to Canada (too cold)). I’m lucky just to have been born somewhere I have many more freedoms than other people in the world, not to mention an abundance of food, shelter, and water. And on the days when people drive me crazy, as they inevitably will, I force myself to take a step back and reflect on all the things I have that someone else might not; someone will always have more than me, so it does no good to make a comparison to them. I’m sure some people would suggest you shouldn’t make comparisons at all, but if that works to make you a more grateful person, then I say go for it. Because when I’m not feeling grateful, I’m not my best self, and I want to be better today than I was yesterday. And while we are on the subject, I think it’s important to show our gratitude to others. The simple words thank you often go unsaid. Perhaps it makes me a petty person, but if I do something nice for someone and they don’t utter those words, I can’t help but notice and think of that person a little less. Because at the end of the day it’s really not that hard to show someone that you appreciate them (or their actions) by thanking them. I hope you reflect on that and consider whether or not you thank the people in your life for the things they do for you. I know they’d appreciate hearing it. And if you’re in the U.S., Happy Thanksgiving! I recently attended a meeting at work held by a financial adviser. Even though my husband and I are already contributing to 401ks and Roth IRAs, I wanted to make sure there wasn’t anything new out there I wasn’t familiar with. There wasn’t. However, it made me happy to see many of my coworkers show interest in opening a Roth IRA. Until the meeting, many of them hadn’t realized the main benefit of a Roth IRA – the ability to withdraw contributions penalty free if necessary. Once they learned that, they realized it made more sense to grow their money in a Roth IRA than sticking it in a bank account which, on average, earns less than 1%. This got me thinking. We as a society have failed at educating the public on how to properly handle their finances. Why is it that we take 12 years of general education courses, which include subjects that we may never use again, yet we do not have a mandatory course on personal finance? It should be taught in all high schools because it’s so very important. It’s something we all will deal with throughout our lives, and while learning other subjects helps make for a well-rounded individual (assuming the material is absorbed – how many people do you know who after 12 years of English courses still can’t spell or string together a coherent sentence? 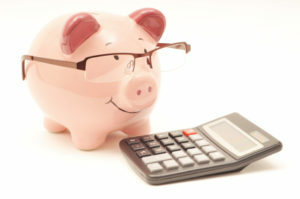 ), properly handling one’s finances is a skill everyone needs. It doesn’t matter if you live paycheck to paycheck or make six figures (or more). Haven’t we all read stories of high-paid celebrities (or lottery winners) who are completely broke? How does that happen? Poor financial choices stemming for lack of knowledge, that’s how. Every time I think about it, I feel frustrated. Imagine how many people wouldn’t be in the poor financial position they are today if they had been properly educated beforehand. Knowledge is power! People would be less stressed out if they felt financially secure. Sure, some people do everything right and they still struggle to make ends meet due to low paying jobs, lack of education (don’t even get me started on the cost of a college education and how much debt people start out with – that’s another post altogether), or medical issues which quickly rack up debt, but many people get themselves into trouble financially even though they are earning a very healthy income. They either spend more than they earn buying unnecessary things, dining out too much, or just budgeting poorly, or they don’t leave any room in their budget for contributing to retirement and savings, thus putting themselves at risk should their income disappear for any reason. That’s another thing that bothers me – people who say, “I just plan to work until I die” because they either love to work, or they don’t feel they have any other option. But the harsh truth is that regardless of whether you want to work, there’s no guarantee you’ll be able to do so. You could get laid off and have trouble finding a new job, or become too ill to continue working. Better think about that now while you’re young enough to do something about it. Another thing that worries me is how many people figure they’ll rely on social security when they retire. But look at the facts – social security is uncertain. I don’t believe it will be completely gone by the time I retire (could you imagine the ramifications??? ), but I do believe the predicted payments I’m seeing on my statements will have decreased by as much as 25% by that time. And even if they don’t, you really can’t live that well off social security alone. It would break my heart when I used to work in customer service for the cable company and an elderly person would literally start crying on the phone because their cable wasn’t working and it was all they had for entertainment due to living on a fixed income. I decided I didn’t want to end up in that situation which is one of the reasons why I’ve prioritized saving for the future. It’s just hard watching the people around me not do the same even though they have enough disposable income to go out to eat, attend events, etc. Priorities, people! Remember: no one cares about your future as much as you should. Start planning now. Educate yourself about finance since our schools are failing us in that regard. I wish someone had stressed the importance of saving when I was in my early twenties. We didn’t really start saving until about a year before Joe and I were ready to buy a house. Luckily we were still young enough (27 for me, 34 for him) that time was still on our side, just not as much as it could have been. While you should start saving now regardless of your age, if you’re very young I stress it even more. Because after 20+ years of working you may grow disillusioned with the whole concept and want out, but you won’t be able to afford it. You’ll be shackled to a lackluster existence because you didn’t plan ahead. Don’t let that happen. Educate yourself! There’s something I’ve been thinking about a lot lately as my fortieth birthday looms on the horizon – what’s the point of saving for retirement if I don’t take care of my health now? 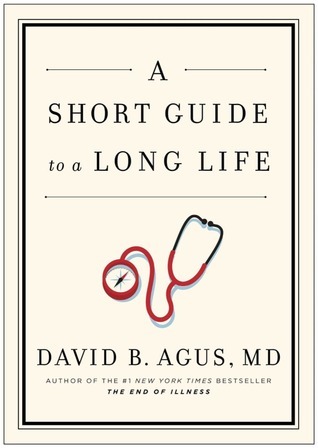 I’ve read too many stories of people who saved their whole lives only to die before, or just after, retiring. I’d hate to think all the careful planning would be for nothing. Plus, even if I live well into my 90’s, I want to be healthy enough to get around on my own. I envision visiting forest preserves and taking vacations, but that won’t be possible if I am in poor health. Coincidentally, I was at the library earlier this week when I came across this book. I devoured it in a single night. Unfortunately, I learned that while I’m doing some things right when it comes to my health, there is definitely room for improvement. I’m sure there’s more but there’s only so many things I can tackle at once. Eating properly is a tough one because all the foods I really enjoy are not the most nutritious things to eat. I don’t eat fried foods constantly, but I do like red meat, bread, and potato chips. Plus I love to bake. Eating is one of life’s greatest pleasures, and while I do eat fruits and vegetables, I wonder how much of the “bad stuff” is affecting my overall health. I will try and add interval and weight training to my schedule, however. I have been doing the interval stuff a little already, but no weight training. I can do that while I watch TV. That could also help with the whole sitting too much thing if I stand while doing it. I read in the book that taking a low-dose aspirin daily minimizes inflammation in the body. Inflammation contributes to the development of a host of diseases, including cancer, so this week I’ve started taking one of those as well. In addition, I’m trying to improve my posture. My back hurts already because it’s not used to it, but I will suffer through the discomfort for the long term gain of a longer life expectancy (according to the book). Changing things for the better is not going to be easy, and I will admit right now that some things might not change because I know myself too well and I don’t want to give up the foods I love, but I will try to cut back on the junk food. Everything in moderation, right? What things have you changed recently to adopt a healthier lifestyle?